The Top 10 remained exactly the same – even with some losses in the rankings, the overall resumes didn’t alter enough. The biggest movement came immediately after the top 10 with plenty of shuffling from 11-20. It was a one-match week for the 49ers, but they continued to show how strong they are with yet another sweep. That gives them four straight via sweep as they have taken 21 of the 22 sets they’ve appeared in. The Bruins have developed maybe the best group of wins this season after a week of two more top 10 victories joins their earlier season triumph over UC Irvine. They look here to stay behind their risk/reward serving approach. The Cougars are now in week two of a three-week stretch with a pair of matches vs. the same team in each stanza. This upcoming week’s action will be their toughest test as they look to tack onto their strong road resume with wins at Ohio State and Ball State already. Things weren’t so easy for the Anteaters this week, but they got the victories they needed to keep the wins coming. Now they have a loaded week ahead in which they can tack onto their already strong resume that only features a five-set loss to UCLA. It was an off week for the Bows as they got extra time to prepare for UCLA and their aggressive serving. It’ll be their first chance at a top 5 or top 10 win this season as they look to make a big statement in Honolulu this week. The Ramblers only losses are to #1 and #4 and they have a win over #3 in addition to others in the VolleyMob Top 20 Power Rankings. Their spot was reaffirmed by adding a few to that list this week, both in sweep fashion. The Buckeyes already have as many losses this season as they had all of last year. It’s not the end of the world though, as both losses came in five sets to top three teams. They could use a top tier win though, which they can get vs. Penn State. CSUN had a week without star Arvis Greene and got a ranked win but also were upended at home. They’ll need Greene’s healthy talent back to be a serious player in the Big West and to have their best chance in a difficult midwest visit this week. It’s tough to punish Penn State for losing in four at UCLA when they also got a top 15 victory in Los Angeles over USC. They stay at nine for now and have a big opportunity ahead against Ohio State. Lewis is finally getting something going now after losing their first three matches – although the last three have been easier. It gets a bit more difficult this week as they can try and prove if they’ve fixed some of their early season woes in searching for their top victory. UC Santa Barbara scored a huge on the road after an off week and have one of the biggest jumps in the rankings this week. They can jump even higher with a big week in the state of Illinois. The Lopes now have two losses, but they move up because of how close they came to upending UC Irvine. They could use a ranked win after their first two are against a team now on the cusp, but they get a chance vs. UCSD. 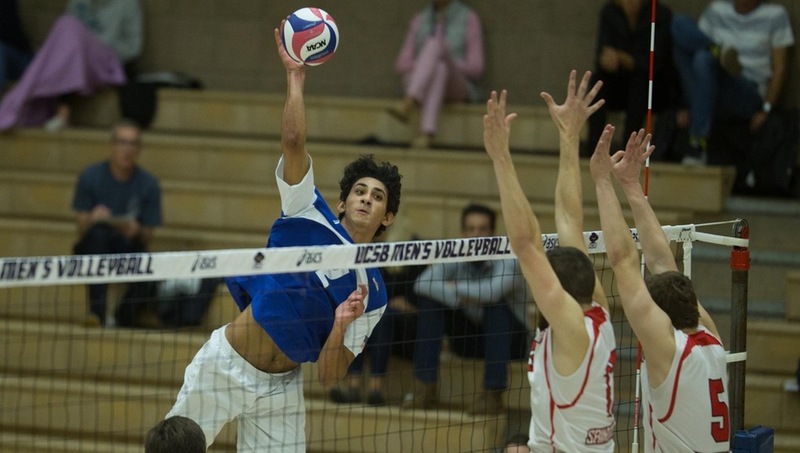 Saint Francis still looks like a contender in the EIVA with a collection of solid wins and all four losses coming to top 10 teams, but the inability to even take a set this week was a bit disappointing as they slide a few spots in the rankings. In terms of impressing in losses, USC did so this week. They went 0-2, but showed a lot of positive flashes in the AVCA Showcase. All four losses are to top 10 opponents, but they’re still searching for a top tier victory. Pepperdine hasn’t had a large sample size with just three matches, but have yet to record a signature win and now lost at home to UCSB, dropping them to the edge of the top 15. UCSD continues to slowly ascend the rankings and look to have one of the better teams in recent school history. The win over Concordia, who had a strong week, looks to be their best victory thus far as well. Concordia earns their ranking for the first time this season behind a strong win at Northridge. How high this team’s ceiling truly is will be tested vs. the Anteaters as they look for a strong showing. For the first time this season, Fort Wayne dropped a set in giving one up to Harvard. Still, they’re 18-1 in sets now in addition to unbeaten overall with wins over Princeton and Sacred Heart on the young year. The Cardinal’s disastrous start continued as they couldn’t even grab a set from either opponent. Paul Bischoff once again didn’t play in either. Things could get worse too with LBSU and UC Irvine their next two opponents. The Cardinals earned a pair of victories but are still looking for a marquee win. As soon as they do, they’ll be able to shake free of the 3-0 home loss to Stanford.